Finding hotels on the Cinque Terre is really hard, finding a hotel on the Ligurian Riviera not. The problem: the majority of hotels look dated, like transferred back in the 80s. I don't like this kind of hotels except they are well maintained and have an excellent service level. 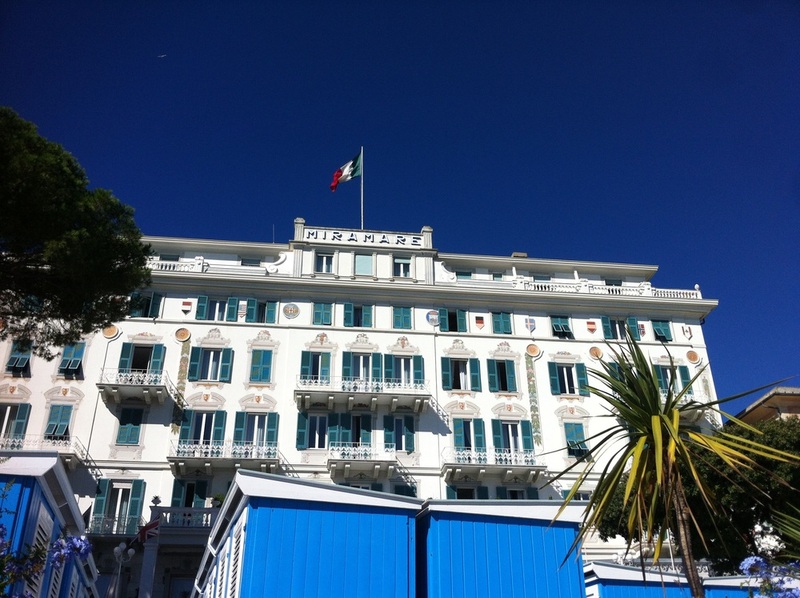 The Grand Hotel Miramare is one of these outstanding examples. As a member of the Leading Hotels of the world, this Grand Hotel has everything I needed and therefore there was no doubt: This is the place to stay on the Ligurian Coast (Hotel Splendido is the other luxury palace in Liguria but of course much more expensive). The arrival was one of the most beautiful I have experienced so far. The roof of our convertible open, the Med to the left and colorful and old villas in midst of great private parks on the right. Driving along the only road on the peninsula to Santa Margherita Ligure was a true "La Dolce Vita Experience". After driving through the town and the small and beautiful harbor we soon arrived at our today's accommodation. When we drove through the entrance, two bellmen were already waiting and immediately helped us with the baggages. One level higher, we were checked-in and showed to our lovely room - a Double Room with Garden View. 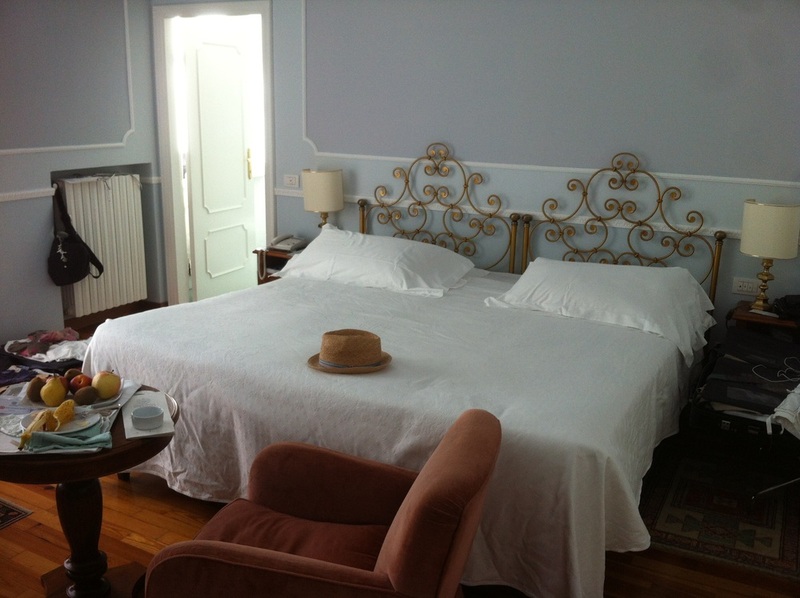 All rooms and suites are styled in typical Ligurian style with comfortable wooden floors, heavenly beds, sitting area, writing desk, spacious wardrobes. In general I found the room very spacious and also the bathroom was very huge and filled with daylight due to the window. What I found a bit strange was that they advertise their "Mediterranean Fragrance by Lorenzo Villoresi" toiletries on the website and in fact they only have one Body Lotion by Lorenzo Villoresi and the rest are no name toiletries with the hotel logo. Otherwise the bathroom was very nice, the towels good and the walk-in shower a nice touch. In my opinion the toilet could have been separated from the main bathroom but I guess this is not possible due to the construction of the building. When we settled our bags in the room we opened the doors and found an enormous terrace with two sun loungers and two chairs overlooking the wonderful and huge garden of the Grand Hotel Miramare. Due to the fact that our room was not overlooking the sea, it was also not facing the street which is between the hotel and the beach club - this means absolute no noise during the night and we could leave the windows open. A great plus! The housekeeping team is truly excellent and they are coming twice a day. 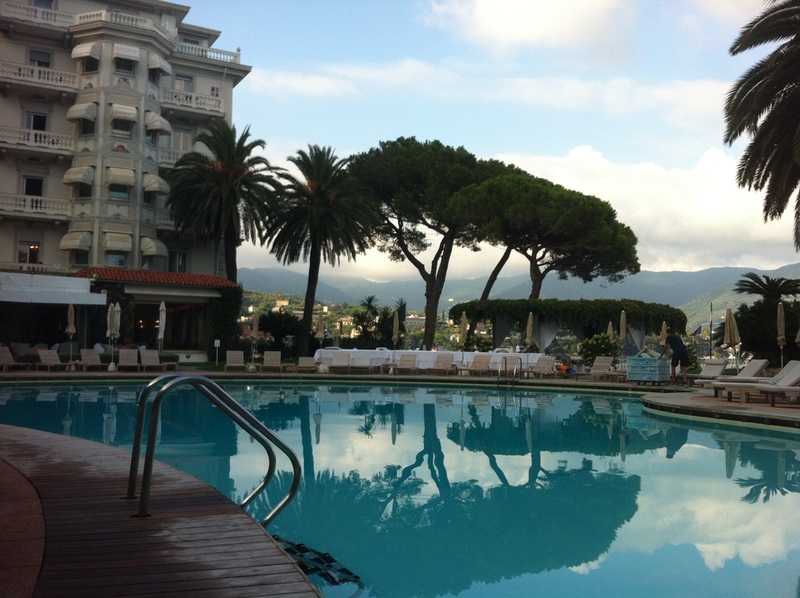 As a special amenity the Grand Hotel Miramare has a private saltwater pool overlooking the Mediterranean sea. While you can hear the traffic all day, I did not feel disturbed at all. Bring your iPads, iPhones and headphones, start playing Toto Cutugno's L'Italiano and you will forget about this issue within seconds. The pool is really huge and the atmosphere is truly sophisticated with wooden loungers around it. There is also a bar for pool site service and the prices are moderate as well. As mentioned previously, the garden is truly unique with wonderful plants and trees. It is the best place to relax and unwind from a day on the sea or the town. 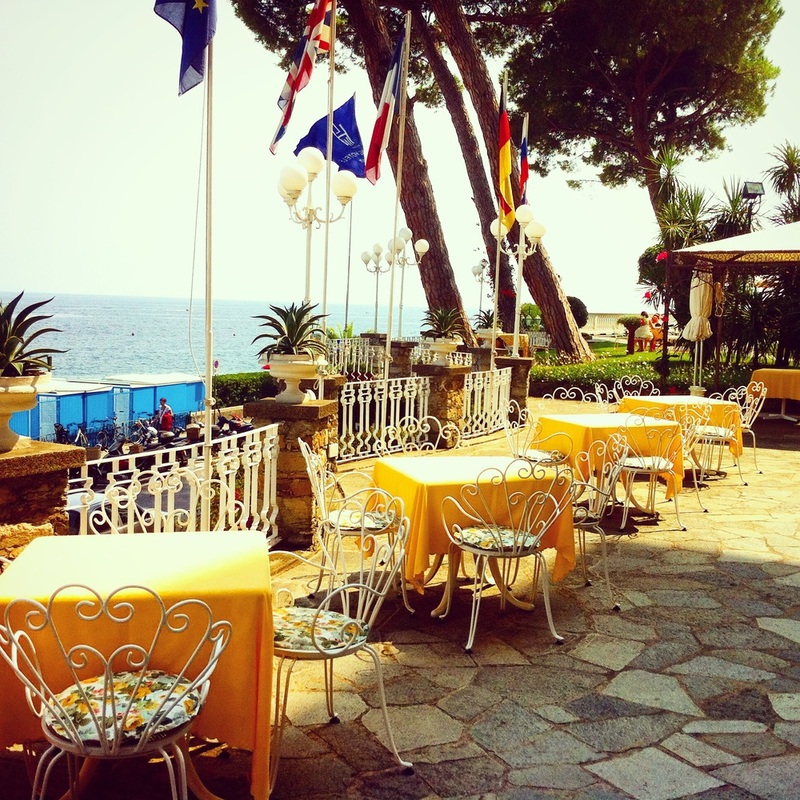 As one of the only hotels on the Ligurian Coast, the Grand Hotel Miramare has its own beach club opposite the main entrance just across the main road to Portofino. Well, the buses and motorcycles can be a bit annoying but after a while you will recognize that this is part of the Italian Dolce Vita. Many recent guests of the hotel say that they did not like the beach club as there is only a small part of the beach club free of charge for hotel guests. This means that if the 20 or 30 sun loungers are occupied, hotel guests have to pay or take the sun lounger on the pool. During our stay this was not a problem. One of us headed to the beach club after breakfast and occupied two loungers. Also I did not have the feeling that the hotel area was full. From my point of view, a day at the beach club should never be missed, the water is clean and very warm. Every guest of the beach club receives a private walk-in wardrobe with shower. After waking up in the morning we were ready to explore breakfast, which is served in the main restaurant. While the whole restaurant had been moved to the terrace, the buffet was still build up inside - due to the milk products and wasps. I really liked the old looking iron chairs in combination with the green table cloth and napkins. All servers are dressed in white suits - a wonderful touch. Everything I tried was of good quality and again I fell in love with their cappuccino. The freshly prepared ordered eggs were great as well. Just a perfect start in another perfect day on the Ligurian coast. When we returned from our evening in Portofino, we though it might be time to have cocktail at the Bar of the Miramare. I choose a fruity one and it was an excellent choice. So we were sitting on the terrace of our wonderful hotel overlooking the black Mediterranean and the lights of the nearby Cinque Terre while enjoying the starry sky. This is how I could describe the ending of a perfect Italian holiday and I can only recommend every luxury traveller, traveling to Liguria to do the same. Yes, Santa Margherita Ligure is not Portofino, but there is much more life than in the very small and famous coastal town. 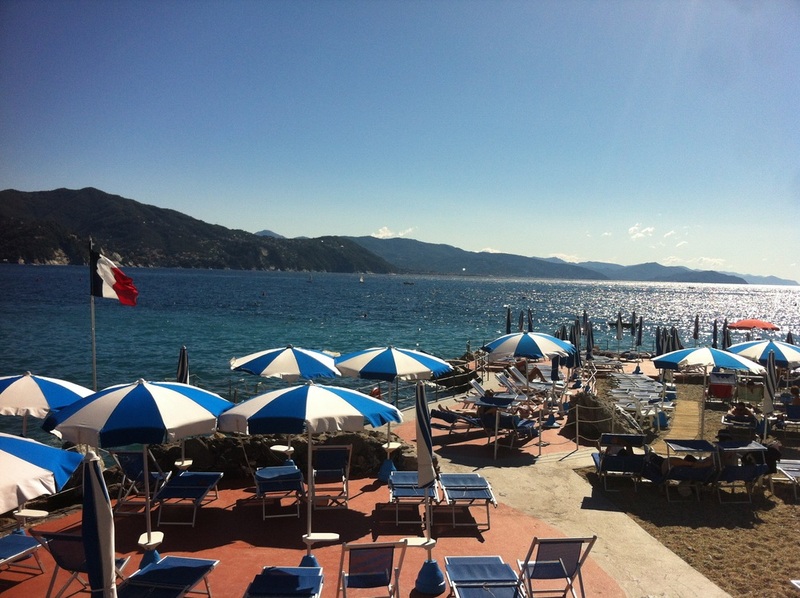 In Santa Margherita Ligure, there are much more restaurants, bars and the best: it is more affordable. There was one restaurant in a small courtyard in the center of the town, which is truly excellent. It's called Reve Café and Restaurant. 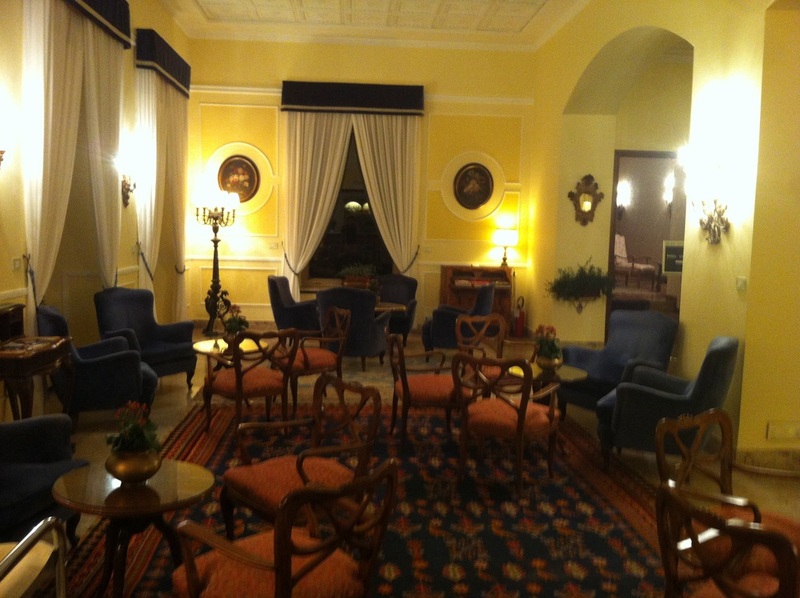 For rates between 300 and 500 euros per room and night, the Grand Hotel Miramare is one of the most expensive 4-star hotels part of the Leading Hotels of the World, but I would say worth the money. You will get old-school Italian service at a top level with a touch of Italian Grandezza. Due to the fact that our stay was in August, which is the really high season, the hotel provided us a very special media rate for which we are very thankful. As always, our review expresses our own opinion and has not been influenced.